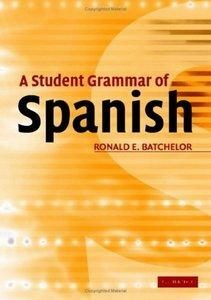 This concise introduction to Spanish grammar, designed for English-speaking undergraduates, assumes no prior knowledge of grammatical terminology. It explains each aspect of Spanish grammar and provides a range of engaging exercises to challenge students. Clearly organized into thirty units, covering different aspects of grammar, the book functions as an essential reference guide and a comprehensive workbook. Individual topics can be looked up via a user-friendly cross-referencing system, and concise definitions are provided in a useful glossary of grammatical terms. The exercises are suitable for both classroom use and self-study.